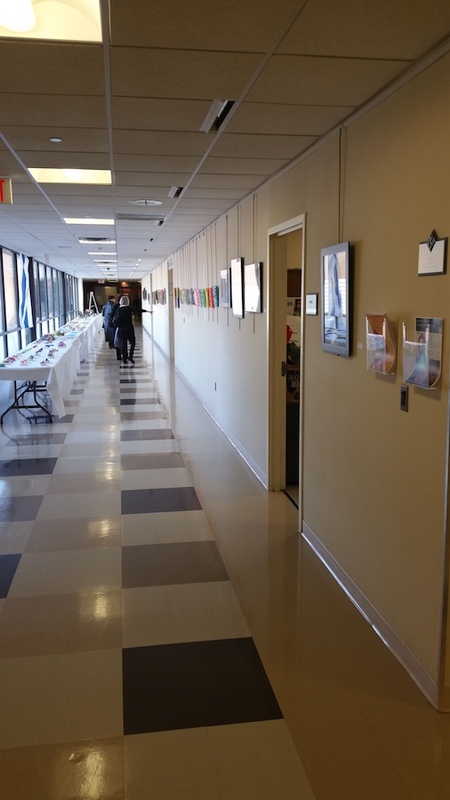 The Kaplen JCC on the Palisades holds ongoing art shows featuring the work of painters, photographers, digital artists and other creative designers, whose work is displayed on the walls of the JCC Waltuch Art Gallery, located on the center’s second floor. The JCC is currently looking for artists interested in exhibiting for the 2017 calendar year. Looking to reflect the culture of the Kaplan JCC as a Jewish community center, the focus of the gallery is to exhibit thematically Jewish artwork or art produced by Jewish artists. Most exhibitors are local, though some come from out-of-state and from around the world. All exhibits include a meet-the-artist reception and are free and open to the community. All work on exhibit is for sale and a portion of the proceeds go to support JCC programming. 3 or 4 high resolution jpegs of your work that you would be showing (and, if you have a website with images of your work, please include as well). Price range of your work. Artists will be selected for exhibition by a JCC committee. Exhibits include a meet-the-artist reception, hosted by the artist, who purchases food through the JCC Cafe. The JCC provides coffee, tea and paper goods for the event. The JCC publicizes all shows and receptions in local newspapers and websites, as well as in JCC brochures and newsletters. Hours 9:00 a.m. to 10:00 p.m. Monday through Thursday | Friday and Sunday from 9:00 a.m. to 5:00 p.m.
See application, floor plan, and artist information below.